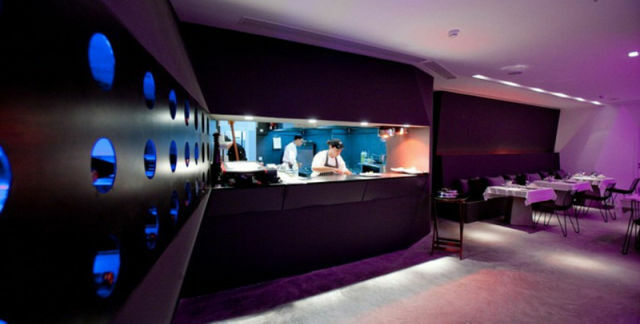 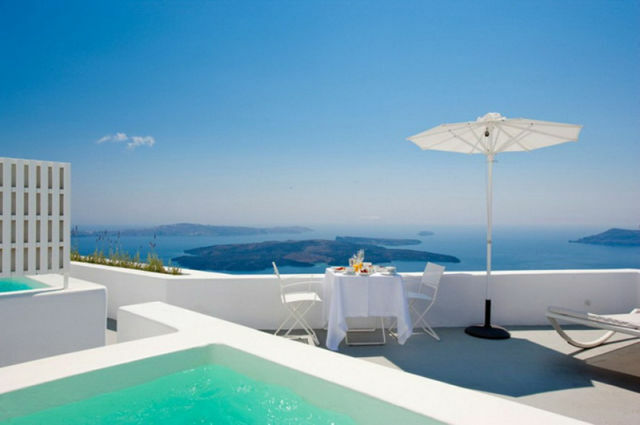 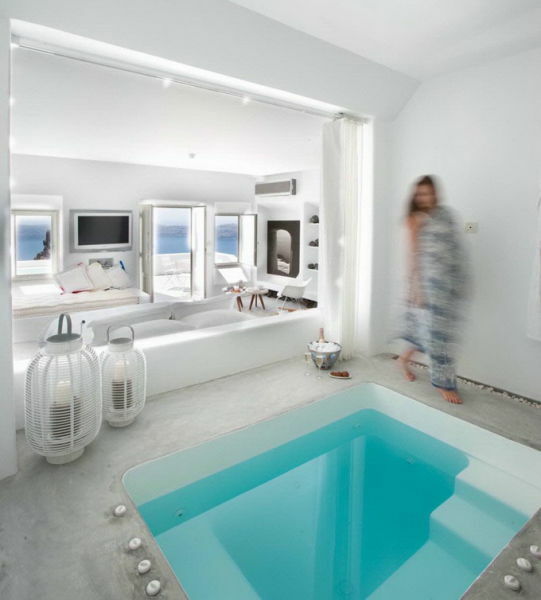 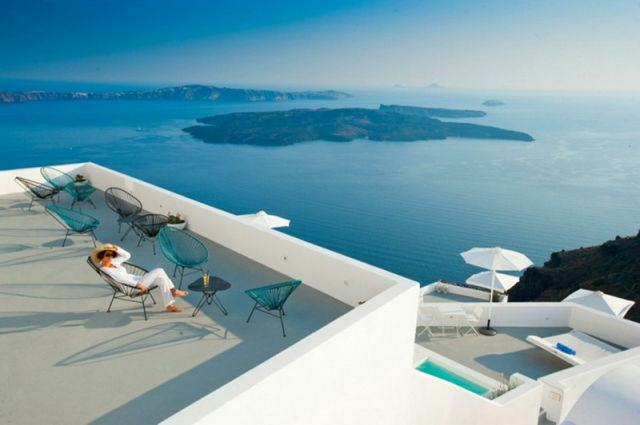 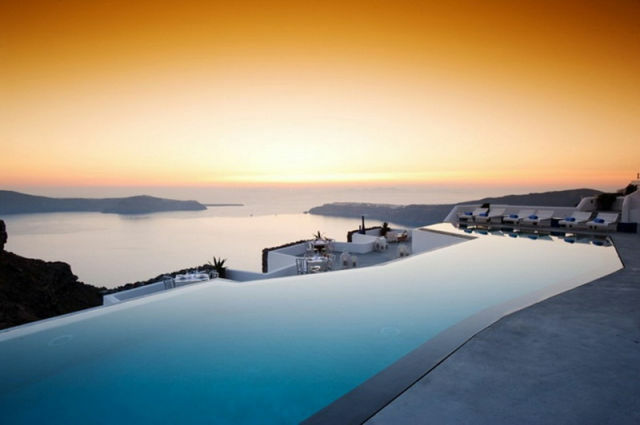 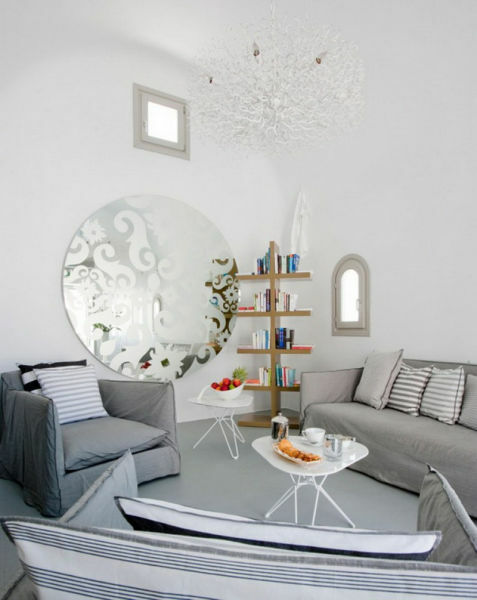 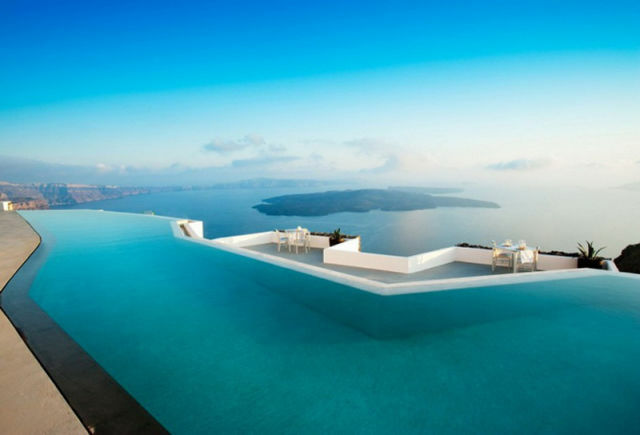 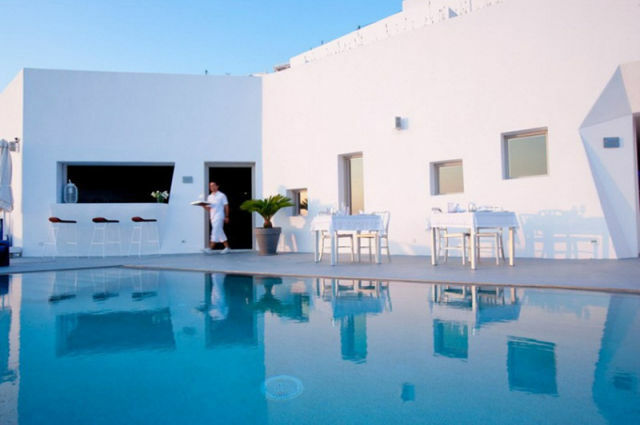 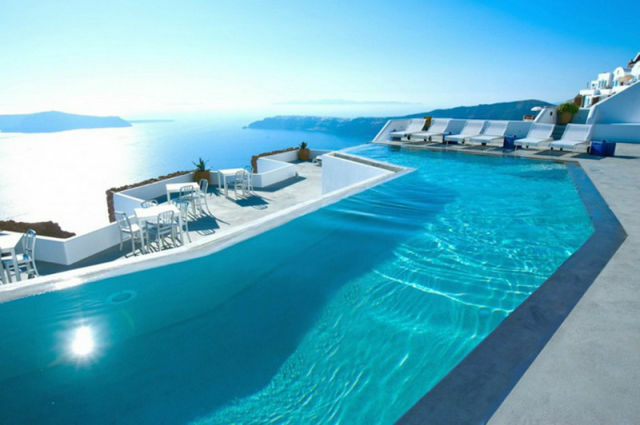 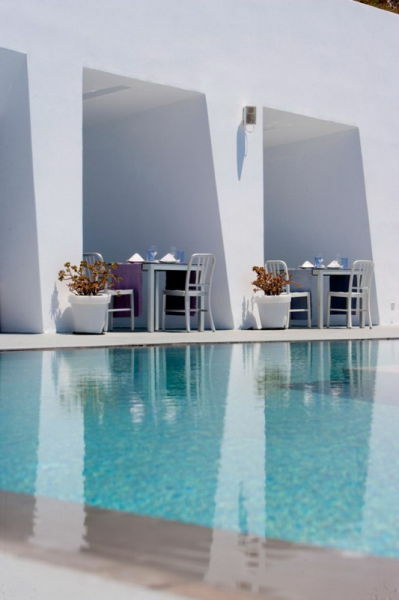 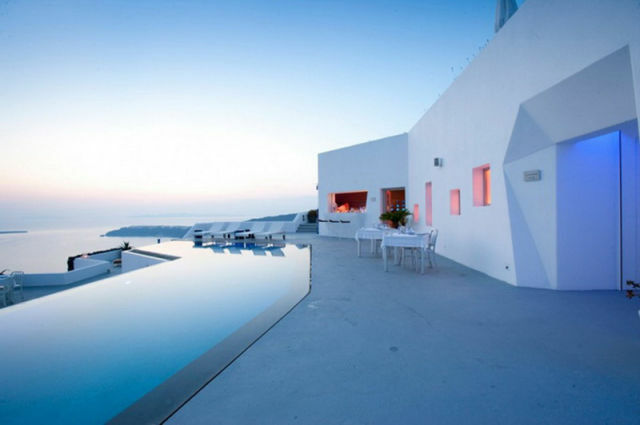 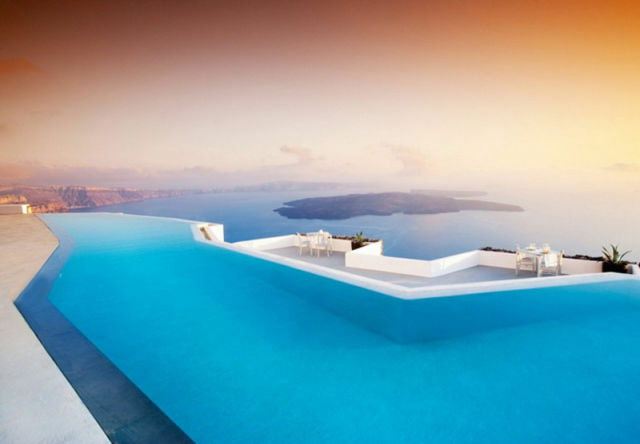 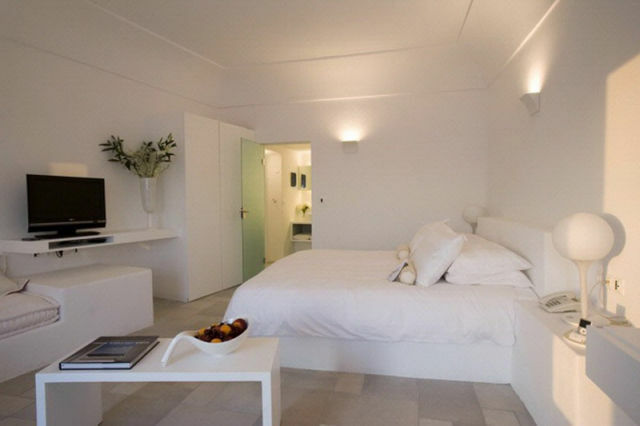 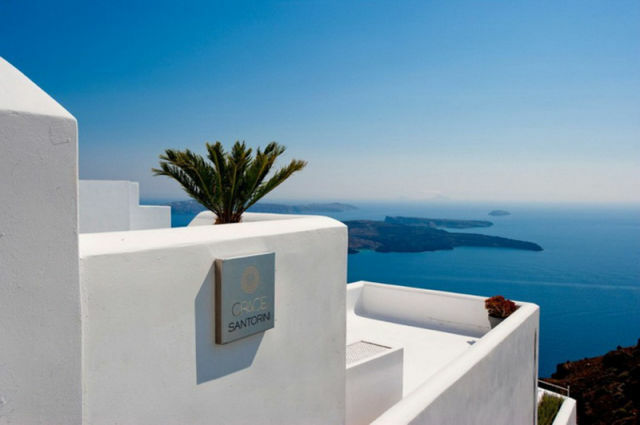 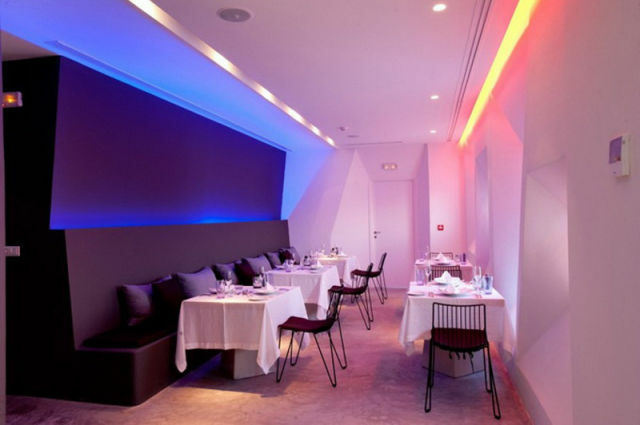 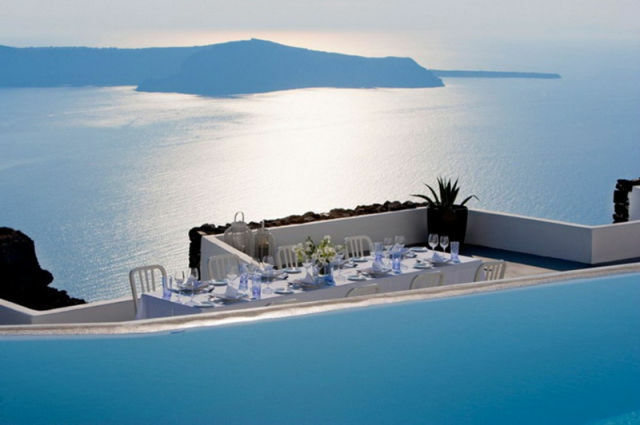 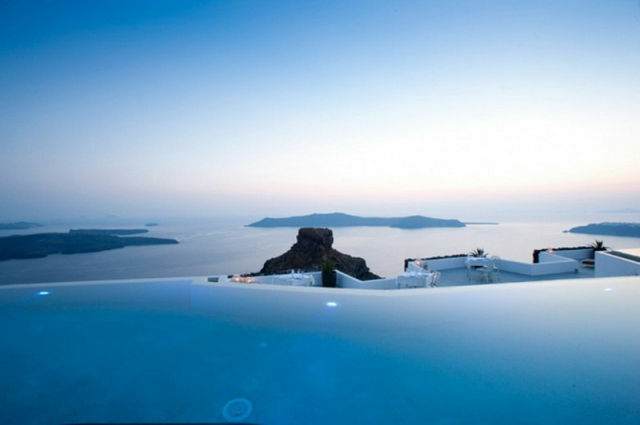 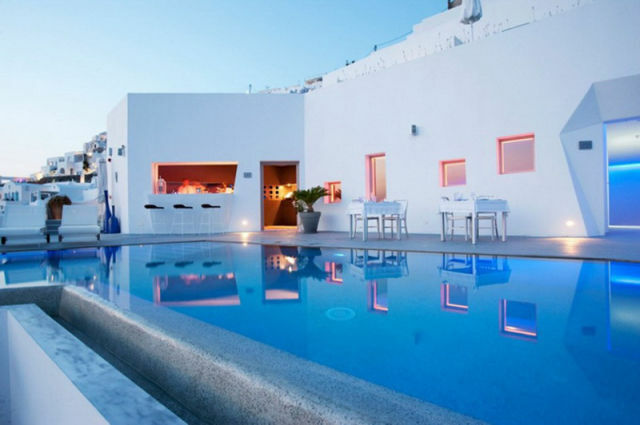 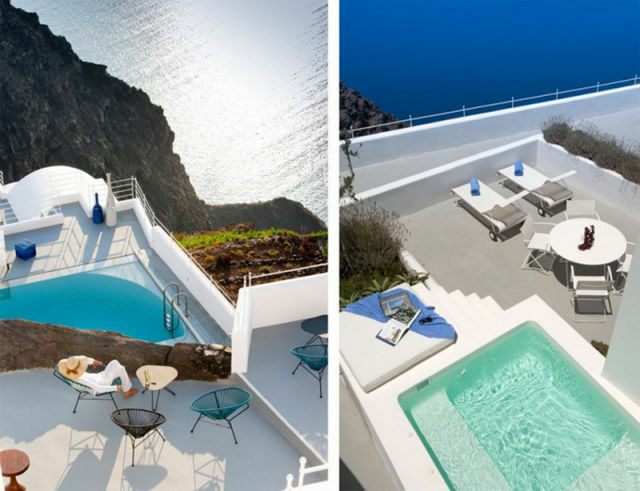 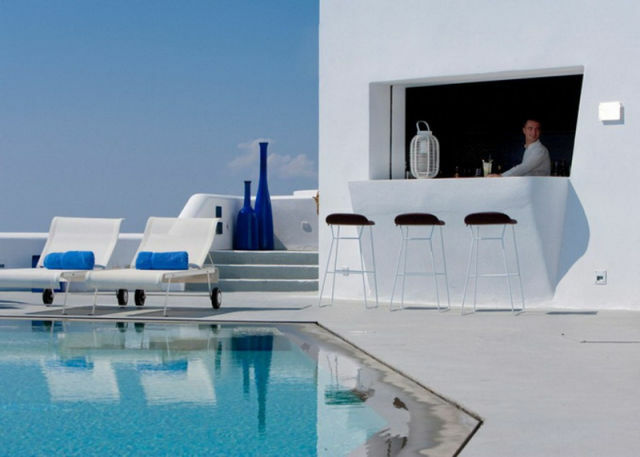 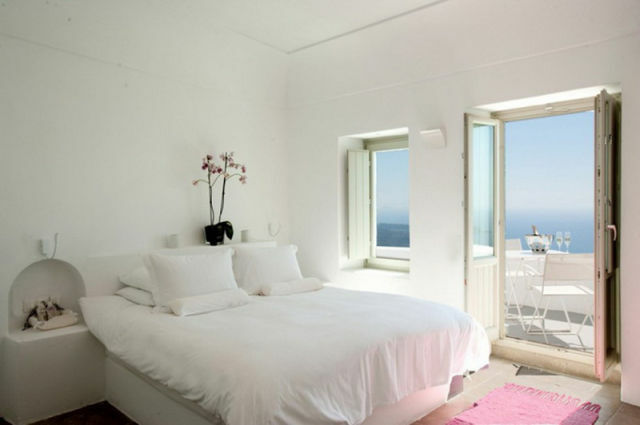 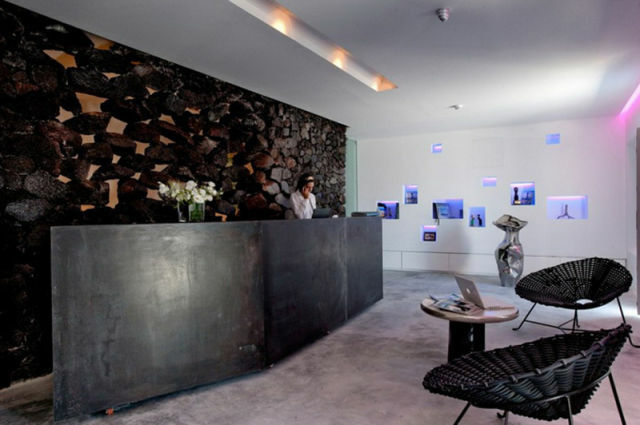 This is the beautiful and luxurious Santorini Grace hotel, which is located in Greece on the island of Santorini. 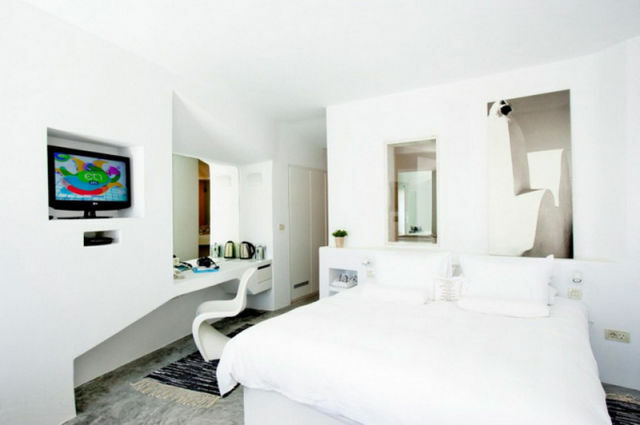 The hotel has more than twenty rooms. 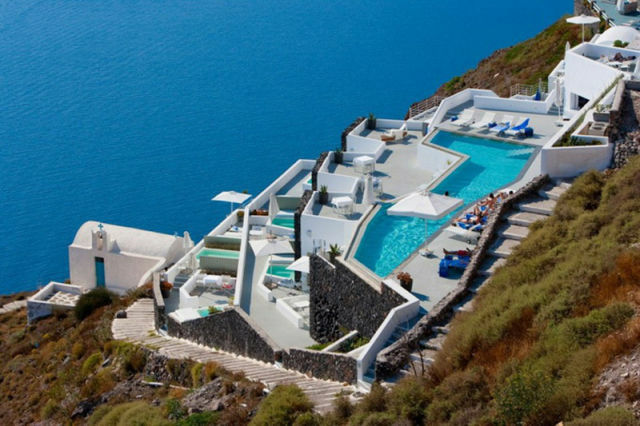 It is a little slice of heaven right here on earth and would make a wonderful place to stay while on vacation. 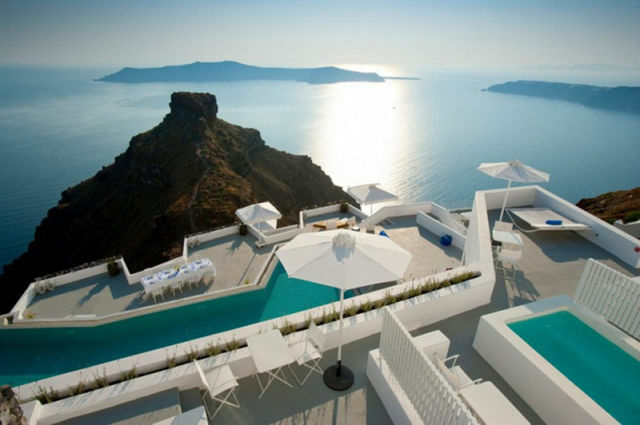 I've been several times to this Island. 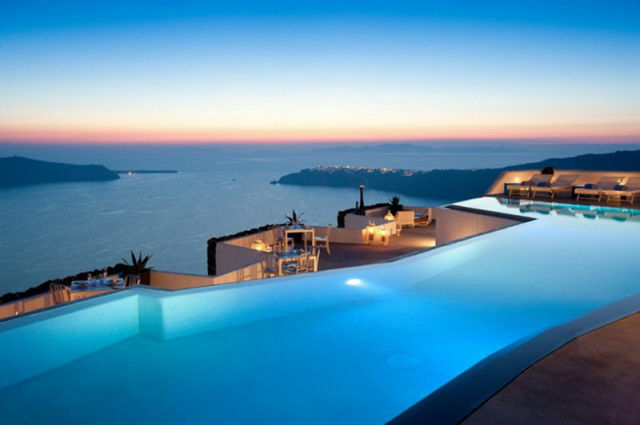 It is absolutely stunning. 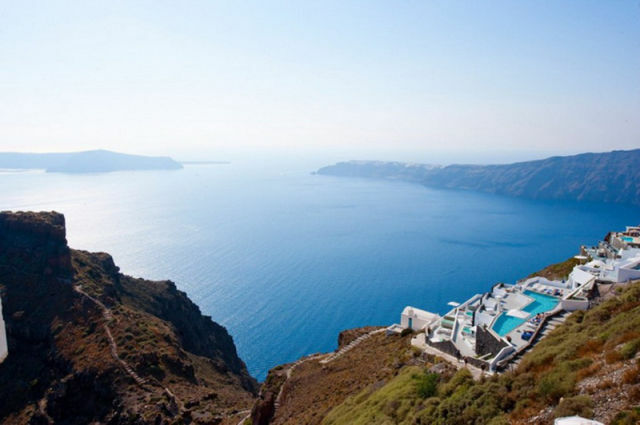 Most of these pictures are taken on the caldera-site, which gives you a remarkable impression over the dimensions of this volcanic island. 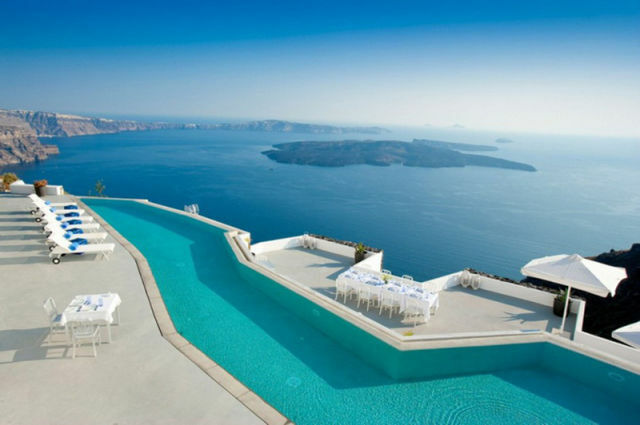 It is not too big, can be easily explored on a scooter. 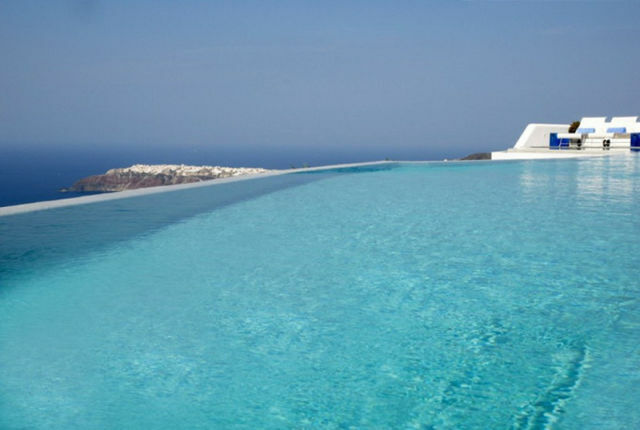 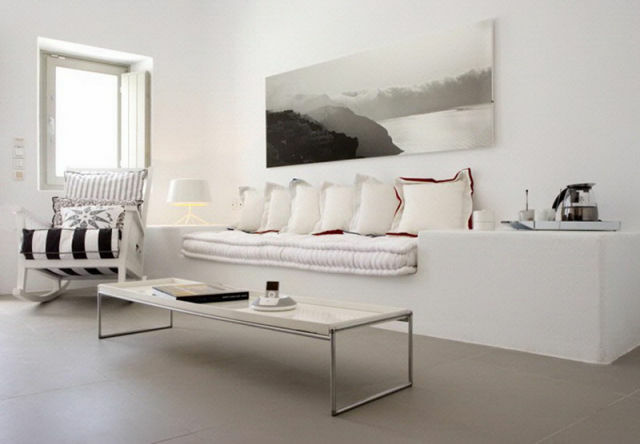 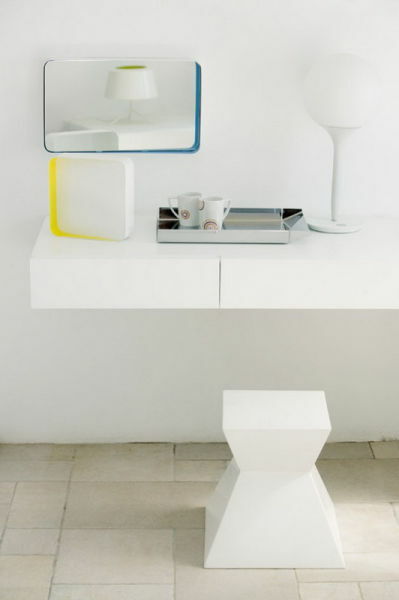 If looking for further pictures, search for Fira, Oia, Caldera or Firostefani.